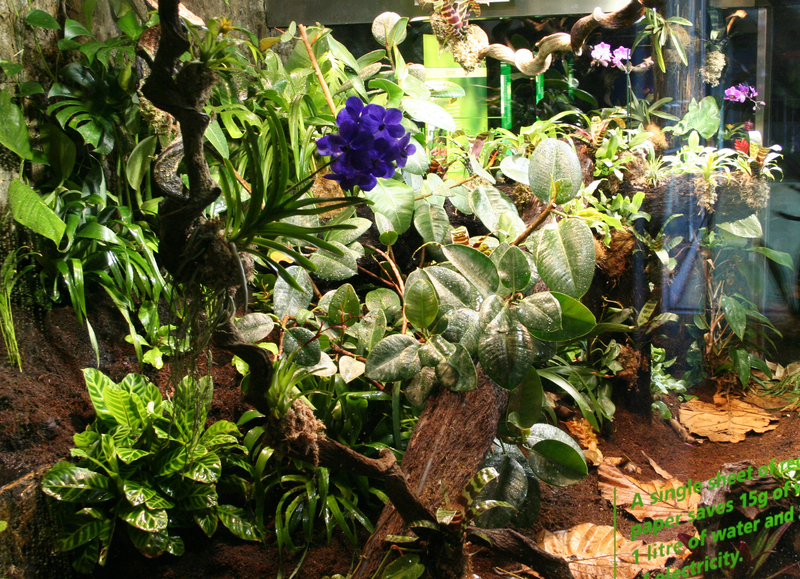 Frequent visitors to the Vivarium will have seen that our main rainforest exhibit has been completely reconstructed over the past month or so. The work has meant stripping out the old exhibit which leaked and professionally re-sealing the whole structure. A false floor has been fitted by specialist contractors to allow for the new exhibit to be extensively planted out, whilst still allowing for an automated spray and humidity system to operate which mists the exhibit to create the perfect environment. The latest specialist lighting together with dedicated ventilation and extract also ensure the double glazed viewing glass panels remain clear and accurate temperature/humidity control is maintained. The work is now finished and plants and animals recently added. The exhibit focuses on Central American rainforests and highlights sustainability and the need for conservation. A brand new graphic panel and information graphics on the glass have also been incorporated to reinforce the messages we hope visitors will leave with. Apart from Cone Headed lizards and butterflies, two species of Poison-dart frog have been introduced, Dendrobates auratus (El Cope form) and Oophaga pumilio (Cayo de Agua) and these appear to be thriving. The large group of captive-bred green and bronze Auratus are particularly bold and stunning specimens. These beauties we recently obtained specially for the exhibit from Mark Pepper in Canada. 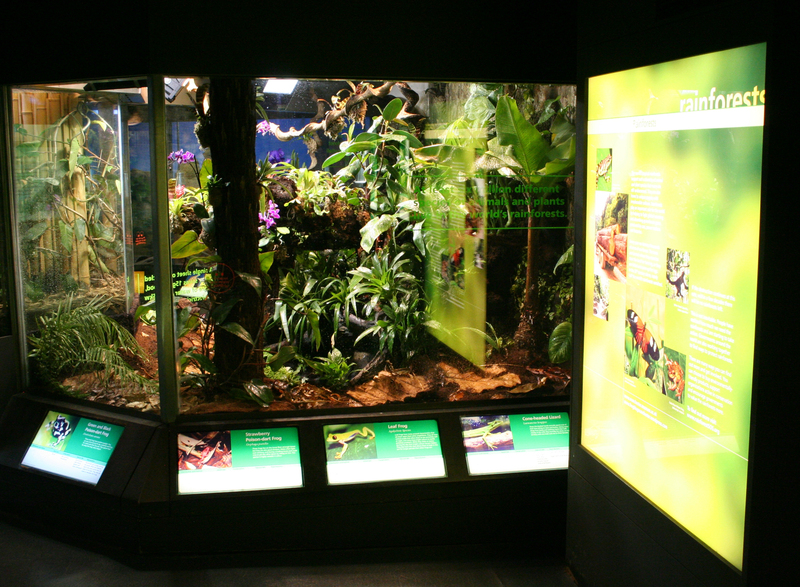 The new exhibit appears to be quite a hit with staff and visitors alike, so if you do get the opportunity to visit please come and have look at our rainforest in the heart of Manchester. For further images and video clips of the stages of exhibit reconstruction from beginning to end please Click Here. The transformation is great! The video really shows the effort and complexity of a re-design when creating habitats for plants and animals in an exhibition. Thank you for the insight! Finally this got the go ahead! Looks great, well done, love the videos of construction. It will look even better once it’s all grown in, please post some pictures in a few months so we can see the progress! What type of butterflies do you have in there? Cheers Bud! Comments much appreciated and great to hear from you. Will post more pics as the exhibit develops. Put several Central American butterfly species in, including morphos, swallowtails and heliconids. Some doing better than others. Poison frogs loving it in there tho, and the pumilio never stopped calling since they went in. Hope to see some tads soon! Just to reiterate what the other two post have said really; how great it is to that the new exhibit is complete! Its particuarly good to see an exhibit where so much thought and effort has gone in to creating the best captive conditions possible for the animals…but then I wouldn’t expect any less from you! Look forward to seeing it in person next time I am in Manchester. Hi Louise, good to hear from you. Thanks very much for your kind comments. Hope you have a lovely Easter! The new exhibit looks amazing!! Such a big transformation, all the hard work you guys have put in has definitely paid of and is a credit to you all. The videos are great to see and im sure that the new set-up will bring lots more of intresting videos for us to see. Look forward to seeing the new exhibit in person soon. Looks like another trip to the museum is going to have to be planned for the future. The last time i missed you, as you were in costa rica i believe frog hunting. This goes to show that with hard work and all the wonderful new equipment now avalible that part of a tropical rainforest can thrive so far from from the real ones. 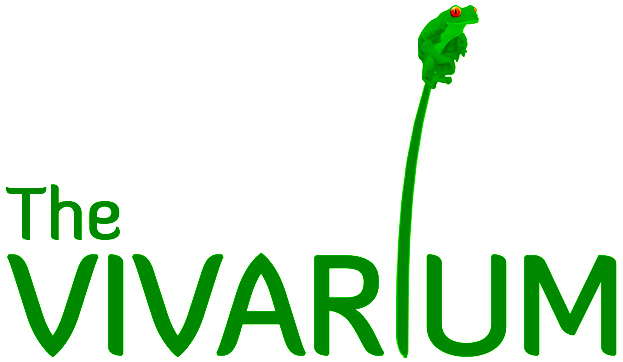 Are there any plans for showing off the Agalychis and Phyllomedusa sp. kept or are some already on display? Also i was stunned by the fiji island iguanas on display -they are just beautiful. Cheers Martyn, Great to hear from you! Be cool to see you after all this time. We actually have Phyllomedusa bicolor on display in this exhibit at the moment as well as all the poison frogs which are breeding in there. Only this week we had some tiny auratus show up from nowhere! Come on over sometime soon! Cheers Andrew, ill have to plan a manchester trip. Jack loved all the dried insect displays and the animals. Ben was a little young. I remember the old Phyllomedusa bicolor that the museum had on display. Still has got to be the most weird, wonderful and alien looking frog on the planet. Would be good to see them and get some photos! Been a very long time mate. Will call.